"Zero jet lag in Argentina"
"Time zone transition was very smooth going both ways"
Make your next trip more enjoyable and productive without wasting your valuable time battling jet lag. 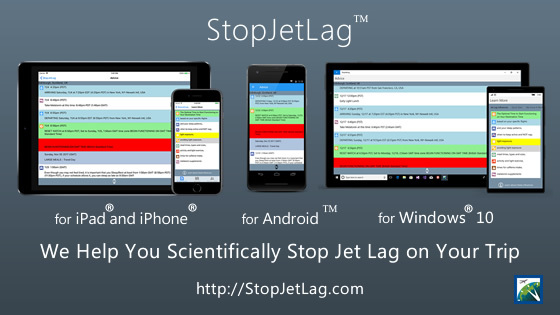 We use your personal profile times along with your specific flight schedules to create a customized StopJetLag Plan for your trip based on the latest scientific jet lag research. I do not want jet lag on my upcoming trip. 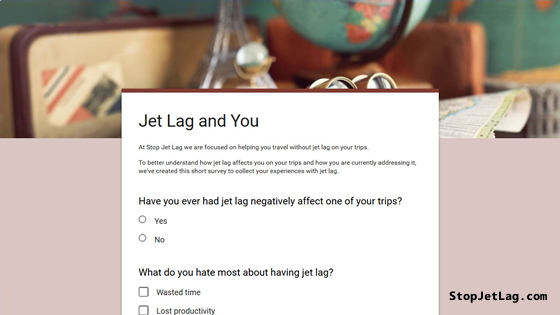 To better understand how jet lag affects you on your trips and how you are currently addressing it, we’ve created a short survey to collect your experiences with jet lag. Stop Jet Lag gives you the ability to Travel without Jet Lag. Use all of the major jet lag influences to your advantage. ‘100 Ways to Travel Better’ jet lag tip. 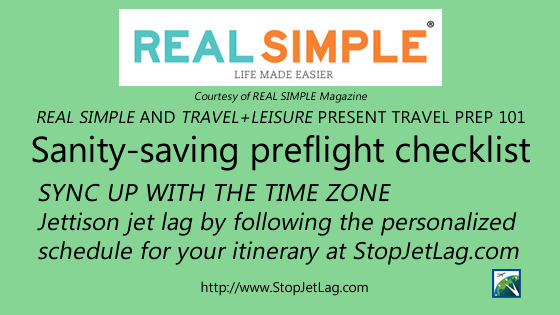 Sign up for a personalized Stop Jet Lag Plan says Travel+Leisure’s staff….